Mustafa Kemal University, Fisheries Faculty, 31200, Meydan Mah. 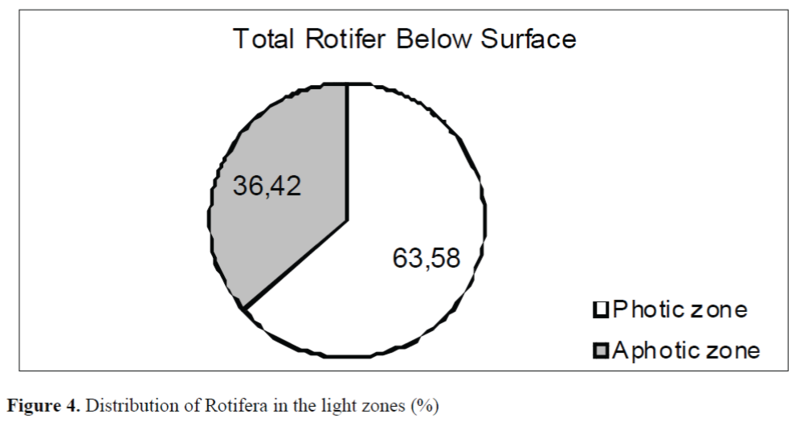 This paper presents an analysis of rotifer abundance in Aslantas Dam Lake which is one of the most important freshwater resources of south eastern Mediterranean region of Turkey. There have been no previous rotifer studies undertaken for this lake. The dam was established over the River Ceyhan at 45 km up from Mediterranean Sea for flood prevention, irrigation and hydro electric energy production in 1985. The dam is situated 146 m above the sea level and covers an area of 6.050 ha. Maximum measurements of width and length are 6 km and 16 km, respectively, and the deepest place in the lake measures 93 m (DSİ, 1966). Besides agriculture, fish such as Cyprinus carpio, Silurus glanis, Capoeta sp., Barbus sp., Leiciscus cephalus and Alburnus orentis are providing an important economical benefit for the local people although the dam was built for irrigation purposes DSİ, 2000). Parameters such as dissolved oxygen (DO), temperature, pH, light penetration measurements were recorded during sampling time at study area. Additionally, the depth of photic zone (light penetration zone) at stations 1 and 2 was determinedby multiplying the depth of Secchi disk with 2.7 (Cole, 1983; Moss, 1988). 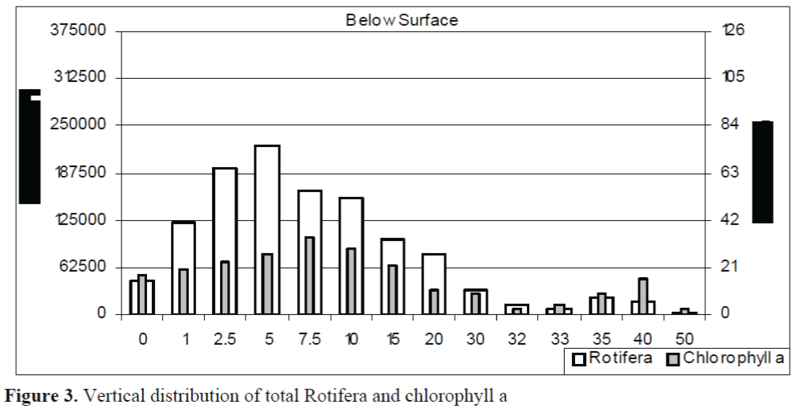 Chlorophyll-a was analyzed using the method described by APHA, (1995). The maximum values of the parameters were observed in different depth i.e. 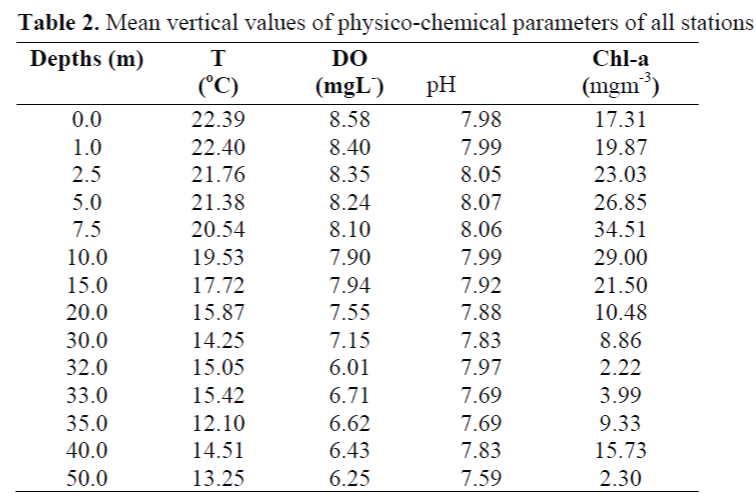 temperature (22.40°C) at 1 m, DO (8.58 mgL-1) at surface, pH (8.07) at 5 m, and chlorophyll a (34.51 mgm-3) at 7.5 m. However the minimum values were observed at the depths below 30 m, It was 12.10°C at 35 m, 6.01 mgL-1 at 32 m, 7.59 at 50 m and 2.22 mgm-3 at 32 m, respectively (Table 2). 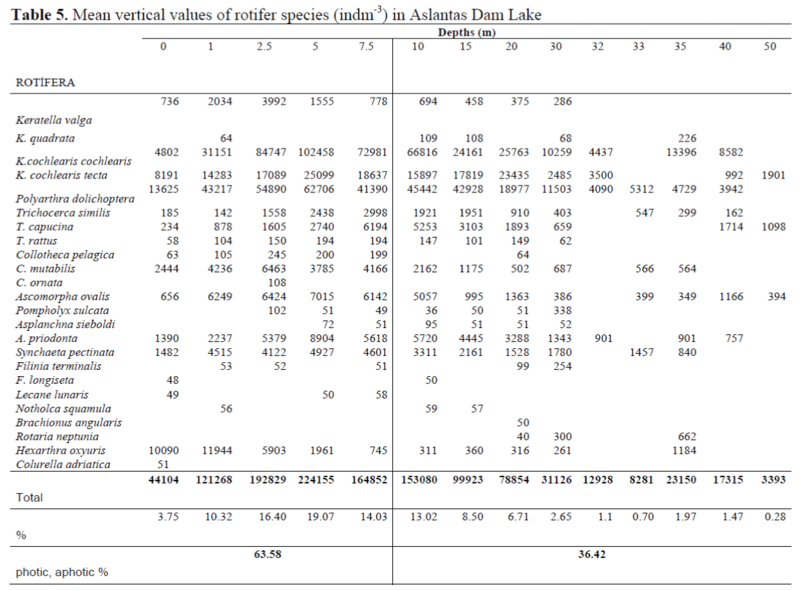 As a result of this study a total of 35 species of rotifer has been determined a first record for Aslantas Dam Lake. 33 of them are species and 2 of them are subspecies. 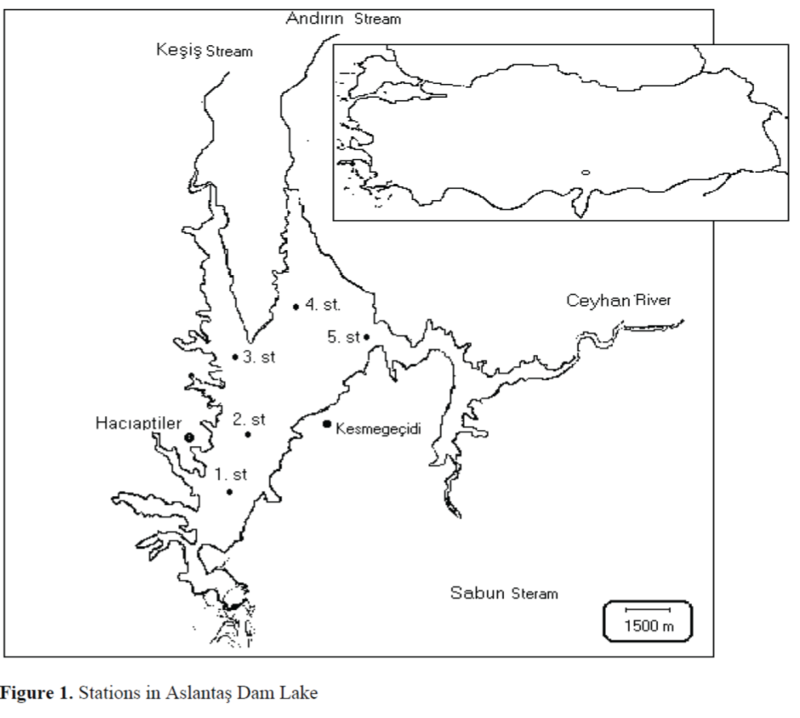 Species of Hexarthridae two which determined in Aslantas Dam Lake, is reported to be likely inhabitants of freshwater (Demirhindi, 1972) and they are observed previously, 13 different resoirvuar in Turkey (Demirsoy, 1996). 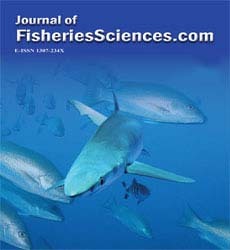 However Hexarthra oxyuris is reported to live in brackish and saline water (Dumont and Ridder, 1987; Ustaoğlu and Akyürek, 1994; Brock and Sheel, 1983; Dumont, 1981). 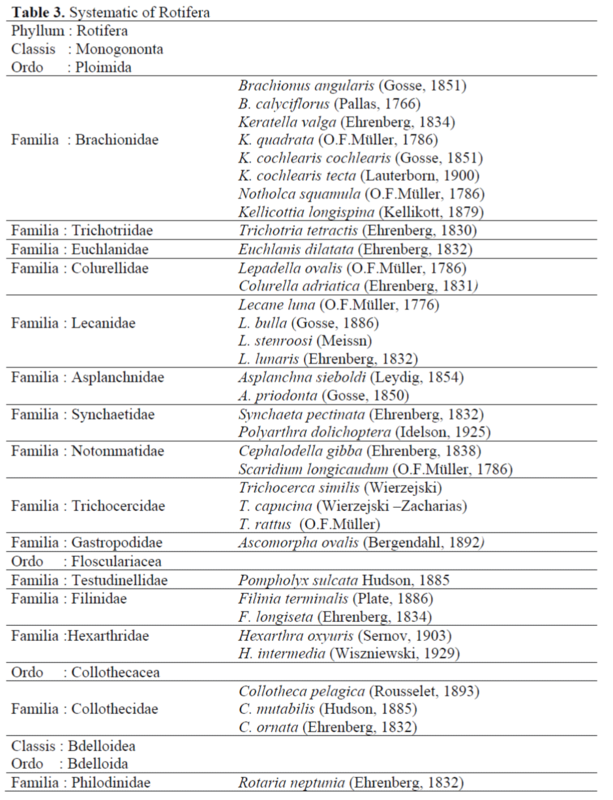 These reports show that species of Hexarthridae are mostly euryhaline. Some of the species i.e., K. longispina, Lecane luna and Notholca squamula inhabits both freshwater and saline habitats. Lepadella ovalis prefers brackish waters and marshlands. Some species occur only a period of year. For example, Rotaria neptunia and B. angularis can be observed only in winter and spring. However, some others, e.g. C. gibba and A. priodonta can be found all year around (Saler and Şen, 2000). It is reported that B. calyciflorus can be found frequently in warm waters; Keratella quadrata lives in all waters as well as oligothrophic and eutrophic lakes (Emir, 1990); Mathew (1979) reports that Pompholyx sulcata is a winter species while Hexarthra intermedia is a hypertermic species. K. longispina is reported to be a hypothermic species (Primicerio and Klemetsen, 1999). This is also supported with the presence of the species in considerably cold water of Turkey such as Abant Lake, Yedigöller and Cip Dam Lake. Demirhindi, Ü.,(1972). Türkiye’nin bazi lagün ve acisu gölleri üzerinde ilk planktonik arastirmalar. Istanbul Üniversitesi Fen Fakültesi Mecmuasi Seri B., 37(3-4): 205-232. Emir, N., (1990). Samsun Bafra Gölü Rotatoria Faunasinin Taksonomik Yönden Incelenmesi. Turkish Journal of Zoology, 14(1): 89- 106. Mikschi, E., (1973). 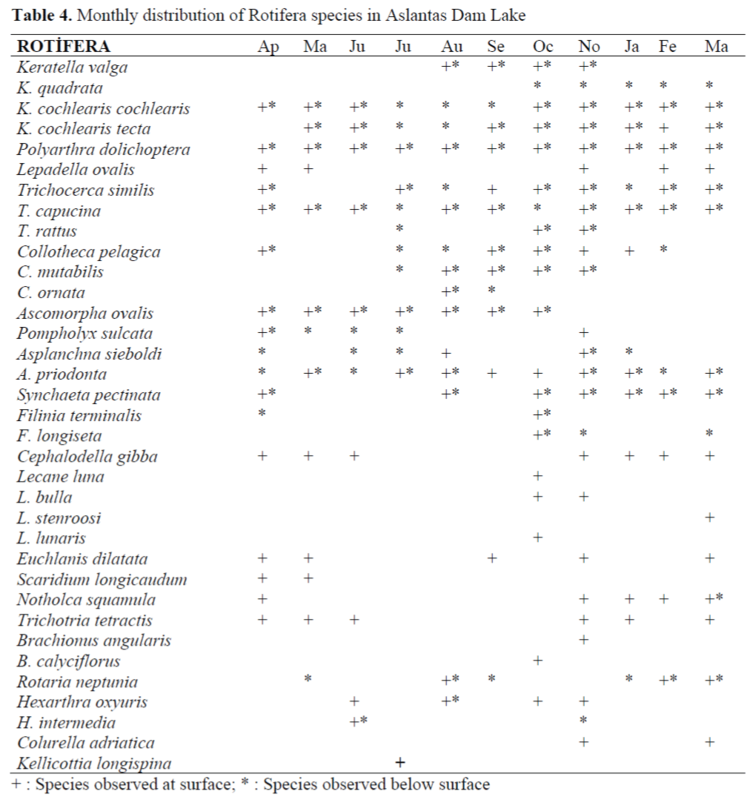 Rotifer Distribution in Relation to Temperature and Oxygen Content, Hydrobiologia, 186/187: 209-214. Moss, B., (1988). Ecology of fresh waters. Man and medium. London: Blackwell Science, 417. Sharma, B. K., (1983).The Indian Species of The Genus Brachionus (Eurotatoria: Monogononta: Brachionida) Hydrobiologia, 104: 31-39. Ustaoglu,M.R., Akyürek, M., (1994). Aksehir Gölü Zooplanktonu. XII. Ulusal Biyoloji Kongresi, Edirne. Wu, L., Culver, D.A., (1991). 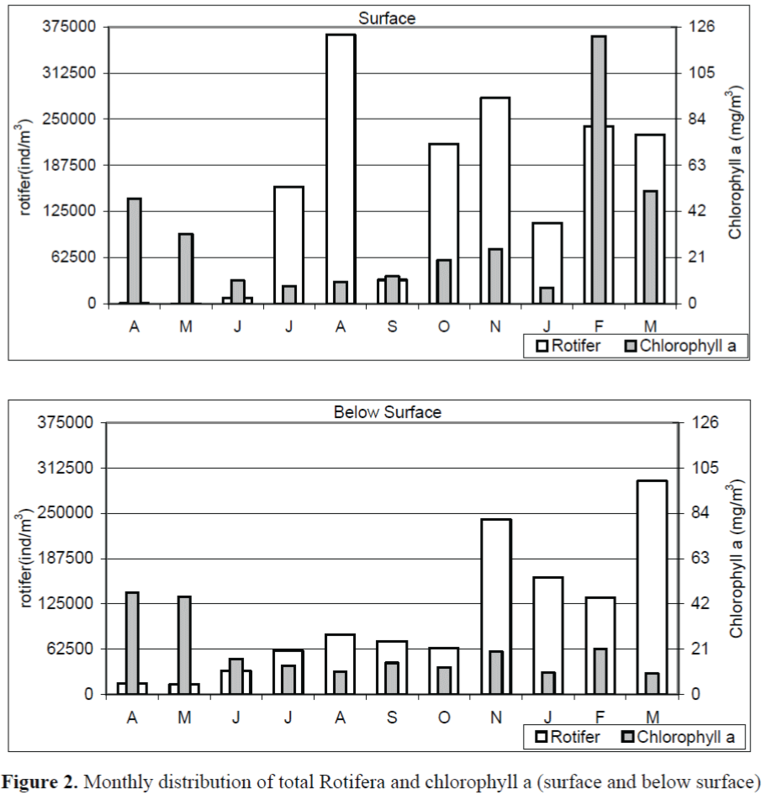 Zooplankton Grazing and Phytoplankton Abundance. Journal of Great Lakes Research, 17(4): 425-436.